In this post, I review February’s international and domestic beer of the month club shipment from Monthly Clubs. Photo by Richard Gillin is licensed under CC 2.0. This content uses referral links. Monthly Clubs offers an extraordinary international and domestic beer of the month club. February’s shipment did not disappoint. Below, I review each of the beers in the delivery. This month, like all months, my international and domestic beer of the month club subscription provided me with three bottles of four different kinds of high-quality beer. Monthly Clubs has helped me better appreciate craft beers. As I have stated before, I think an appreciation for high-quality beers helps us eschew overindulgence in alcohol. Craft beers are too delicious—and too expensive—to binge drink. In fact, I wouldn’t drink more than one in a night. I subscribe to Monthly Clubs’ international and domestic beer of the month club. It costs $49.95 per month, and the beer arrives right at my door. 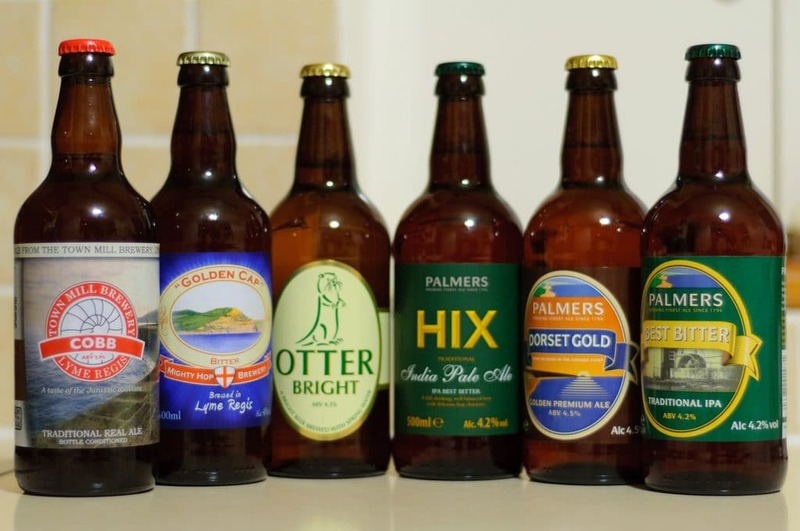 The beers from the international and domestic beer of the month club, however, are very high quality. In addition, the international and domestic beer of the month club allows me to sample beers that I could not otherwise find. I have been subscribing for over a year now, and I have no plans to stop. I recommend it to anyone who enjoys a good beer. If you are at all interested, I encourage you to give it a try. Monthly Clubs often runs specials from time to time to allow you to try their clubs at a discount. You may be able to try the international and domestic beer of the month club at a reduced rate. I encourage you to check out their website to see. The international and domestic beer of the month club is not the only option. Monthly Clubs also offers the U.S. Microbrew Beer of the Month Club, which provides microbrews from American Microbreweries. There are also the Hop-Heads Beer of the Month Club and the International Beer of the Month Club. Finally, there is a Rare Beer Club, which offers limited release or exclusive international and domestic beers. I prefer the international and domestic beer of the month club for its variety. But there are different options to fit your taste and budget. I recently sampled all the beers from the international and domestic beer of the month club February shipment. This month I received three bottles of each of the following beers. I am not an expert by any stretch, so please consider this as you are reading through this post. I enjoy the international and domestic beer of the month club because it provides me the opportunity to learn more about beer. 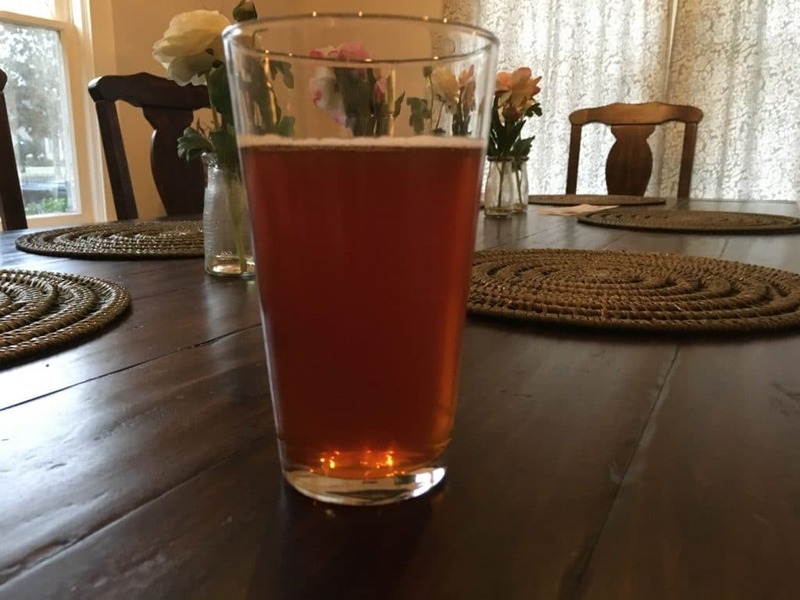 The first beer I sampled from this month’s international and domestic beer of the month club shipment was the Free State Brewing Company’s Copperhead Pale Ale. 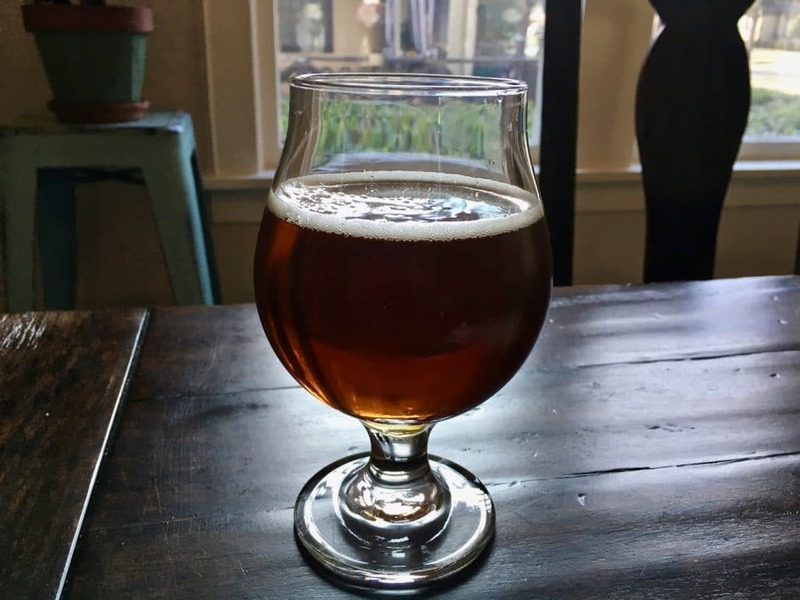 Free State Brewing Company’s Copperhead Pale Ale is an American Pale Ale with 5.8% alcohol by volume. The beer lacks all the mellow sweetness you’d expect from an ale. Instead, it’s exceptionally hoppy and a bit bitter. The beer is so dry that the first taste shocks the senses as it pulls all the moisture from the mouth. The beer has a dark, vibrant amber color. Its smell is dull and only faintly hoppy. 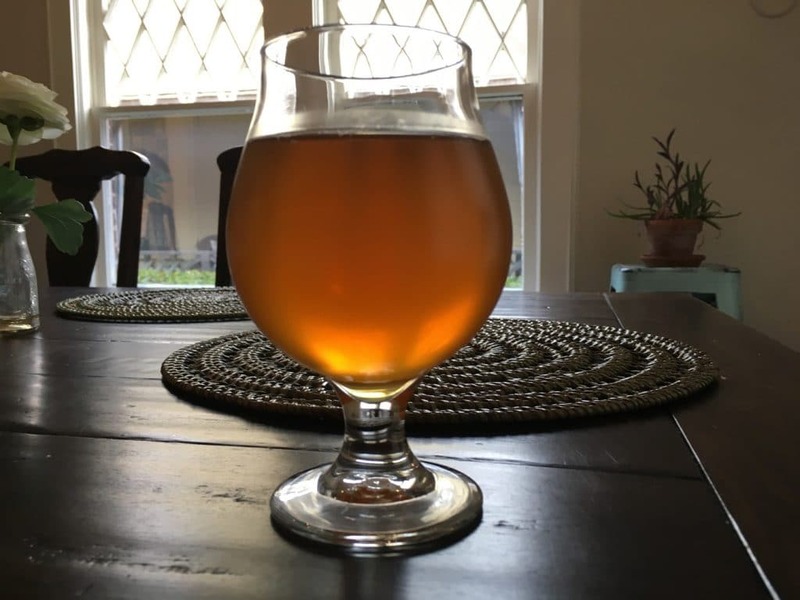 I did not detect any fruitiness, particularly no “caramelized malts with significant notes of citrus zest, light pine, and some herbal spice.” There was, however, some sweetness in the beer’s subtle aroma. Despite the faint aromas, however, the taste of hops come through strongly on the first taste. Indeed, the beer is extremely hoppy, almost bitter. It seems too busy, as if unable to decide what kind of beer it wants to be. The beer’s hoppiness was a bit overwhelming with no clear flavor profile to pin down. While there’s definitively some maltiness to it, I did not detect anything resembling caramel. As frequently as professional beer reviewers compare beer to caramel, I wonder if they understand the word “caramel” differently than I do. Overall, I enjoyed the beer. I thought the hoppiness was a little overpowering and the resulting bitterness a bit much. Nonetheless, it was apparently a high-quality beer, even if not perfect. As far as food pairing, Monthly Clubs recommends pairing the Copperhead Pale Ale with “pork or chicken dishes (or other fowl, like game birds), or an array of pub cheeses like Cheddar, Cotswold, or Gloucester.” I think this beer would pair exceptionally well with pork. I had mine with a taco salad and rice. It paired well I thought, but I think something spicy would have paired better with the hoppy, dry flavoring of this beer. Overall, I enjoyed the beer, even if it wasn’t my favorite of the shipment. The Copperhead Pale Ale was an excellent addition to the international and domestic beer of the month club’s February shipment. Sprecher Brewing Company’s Abbey Triple was the second beer I sampled in the international and domestic beer of the month club February shipment. It is an American Tripel with 8.4% alcohol by volume. The beer has a citric characteristic from the very beginning. Even its orange appearance after the pour implies a citric flavor. The beer has a sweet, fruity smell with orange flavoring that carries over into the first taste. Brewed in the tradition of the Belgian Tripel, this beer is a domestic craft brew with foreign characteristics. It has the rich thickness of a Belgian beer. Nothing about this beer tastes domestic, and I liked it a lot. The beer has the strong-yeast flavors of a Belgian beer with a strong maltiness that the fruit flavoring nonetheless subdues. While I tasted the “fruity overtones” the website describes, I am unfamiliar with “stone fruits” and therefore cannot say whether that is the strong flavoring I detected. I also failed to detect “white grape juice, along with some clove-like phenolic spice notes.” Given the strong fruit flavors of the beer, however, I don’t find these descriptions surprising. Perhaps those with palates more discerning than mine can distinguish these tastes. This was a delicious beer. I find the intertwining of monasteries and beer fascinating, so I have a soft-spot for beers that play upon this historical connection. The beer’s label, depicting a monk ringing church bells, along with the ecclesiastical name, left me excited to try this beer. I wanted to like it. I had it with beef tips and gravy. It went well, but it was apparently not an ideal choice. Something that pairs well with red wine will probably not go exceptionally well with this beer. Overall, it was a welcomed addition to the international and domestic beer of the month club February shipment. 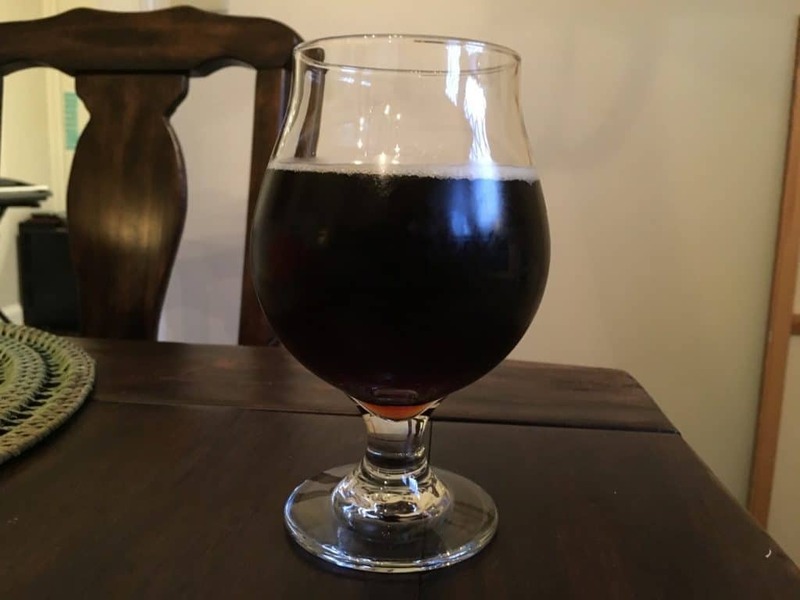 The third beer I sampled in the international and domestic beer of the month club February shipment was the Hijos De Rivera’s 1906 Black Coupage. The 1906 Black Coupage is a Spanish Dunkel Bock with 7.2% alcohol by volume. I don’t know that I have ever had a Spanish beer—I had never even heard of Spanish beer—so this was an interesting treat. The first thing I noticed about this beer was its bottle’s pull off top. Instead of twisting off or requiring a bottle opener, I was able to pull a tab. This popped off the cap. The beer poured black, and it had a sweet, yeast smell. Perhaps what I smelled as yeast is the “richly bready notes,” and the sweetness is the “lightly fruity and floral hop character.” I didn’t detect anything passing for coffee grounds and cocoa powder, but it was a nice smelling beer nonetheless. It was a delicious beer. It was also dry but not overpoweringly so. This beer reminded me of a Guinness, though sweeter and perhaps fuller bodied. The website recommends pairing the beer with “intensely-flavored meats, such as beer or game, especially when barbecued.” I drank it with a barbecue pork sandwich. They went together fine. The website also suggests pairing it with chocolate or coffee-flavored desserts. Given the flavor profile of the beer, I think this would pair exceptionally well. I’d like to try it, but my wife—who generally doesn’t care for beer—drank the other two bottles. So, I may have to order some more. At $46.95 for a twelve pack, it’s a little steep, so I don’t know if I’ll follow through. Regardless, however, this is one of the best beers that I’ve tried in a long time. Excellent for pairing with (certain) food or drinking alone—though perhaps a little rich for the latter—this is an exceptional beer that I highly recommend. This beer is my favorite from the international and domestic beer of the month club February shipment. The last beer I sampled in the international and domestic beer of the month club February shipment was the Hijos De Rivera’s 1906 Red Vintage. This month’s shipment included two types of Hijos De Rivera beers. Both came in very similar looking bottles with similar names. They are not, however, similar beers. The Hijos De Rivera’s 1906 Red Vintage is a Spanish beer designed to taste like a German Doppelbock. With an 8.0% alcohol by volume, this beer is smooth for its alcohol content. The bitterness is subtle and non-abrasive. This was the hardest beer to pin down in the international and domestic beer of the month club shipment. Like the 1906 Black Coupage, the 1906 Red Vintage had an interesting pull off top. The beer looked light in the bottle but poured darker than I anticipated. I expected a very light yellow appearance from the bottle. Instead, it poured a golden amber color. The beer had a sweet, mild hoppy aroma in the glass. The website suggests scents of caramel, which probably fit. The initial taste confirmed the sweetness. The beer seemed a bit fruity, and I thought I sensed a taste of orange. Monthly Clubs, however, describes the taste as having flavors of caramel with “moderate roasty notes” with some “herbal spice notes” and a “touch of woodiness.” There’s no mention of orange, and I didn’t taste anything resembling “woodiness.” So, I probably don’t know what I’m talking about it. It tasted sweet to me with perhaps some citrus flavoring, but that was just my untrained assessment. Maybe I will one day know what wood tastes like. Hopefully, it goes down smooth. The beer had a subtlety to it that I enjoyed. Perhaps it possessed a complexity that a more knowledgeable beer drinker could appreciate but which nonetheless alluded me. It tasted like a sweeter, smoother Sam Adams Boston Lager to me. These all seem like good suggestions. My wife made a Jalapeño burger with goat cheese from Blue Apron. I thought the beer went exceptionally well with this dish. This is one of the beers from the international and domestic beer of the month club where I may consider ordering a case. Paying $46.95 for a twelve pack still seems a little steep for me, though, so we’ll see. It’s still one of my favorites from the month, though. February’s international and domestic beer of the month club shipment was excellent. As usual, it included a nice variety of different beers to sample, none of which I have ever before tried. I look forward to sampling March’s box.